Dying is a serious business, and while no one really wants to talk or think about the possibility of death, it does happen to anybody and any one of us when least expected. For that reason, it’s extremely important that your loved ones are provided for in an event of sudden and unexpected demise. 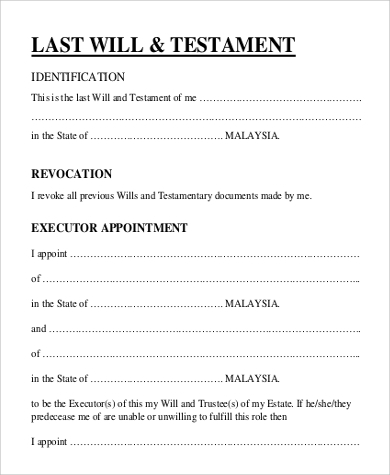 If you haven’t done so before, now would probably be the right time to have a will. 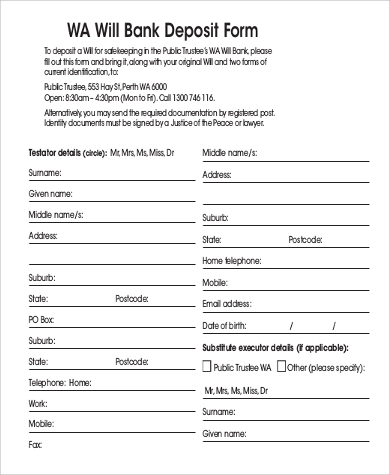 The provisions don’t have to be complicated and our Sample Forms will help guide you draft even simple will forms containing your instructions and wishes. These sample will forms come useful no matter how old you are. 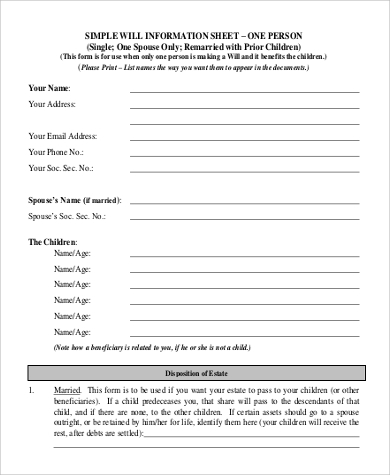 Making a will has no age restrictions and everyone at any age should think about making one at the soonest possible time. 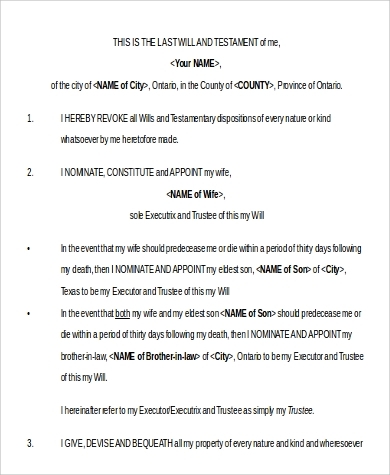 This is done so any of your wishes are properly documented and your assets distributed according to your exact wishes. There must be two witnesses present at the time of signing, with each acknowledging their presence by signing as witnesses in your presence. They don’t necessarily have to be together simultaneously during the signing. 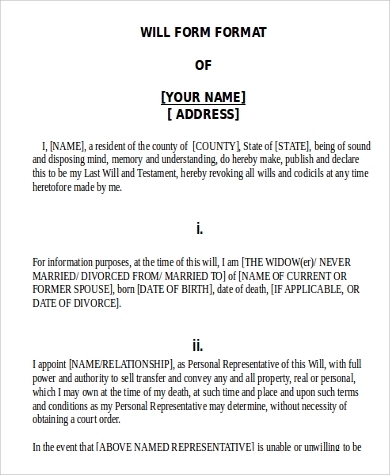 Our printable and downloadable Sample Will Forms are available in either Microsoft Word DOC or Portable Document Format (PDF) for easy usage where you don’t necessarily have to ask someone to draft the will for you. While simple will forms are covered, there’s quite a difference when it comes to a Living Will. 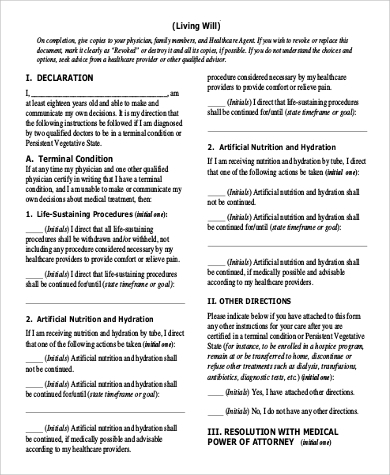 A Living Will is actually an advanced directive aimed at health care providers in the event that you are unable to communicate your desire in terms of treatment. 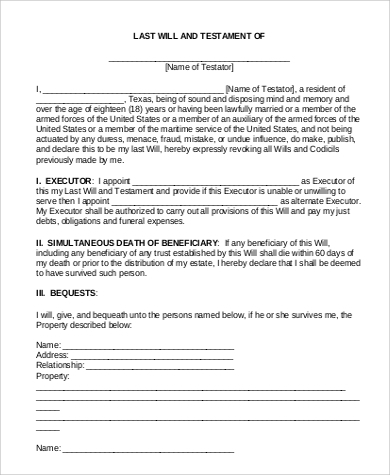 More often than not, Living Wills tend to be overlooked. 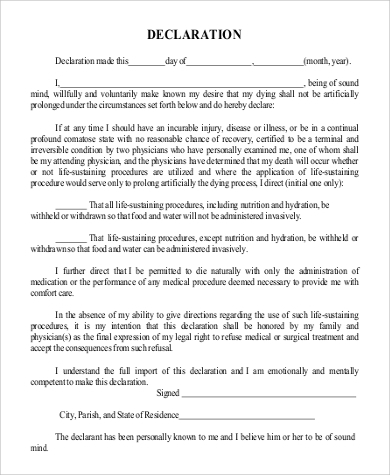 What most people don’t realize is that Living Wills provide invaluable assistance to both a patient’s family and health care providers. These Sample Living Will Forms offer indispensable guidance to those wishing to make Living Wills. The aim of a Living Will is done more importantly to provide palliative care to ease a patient’s pain and suffering during those crucial times when pain medication is needed and the patient is clearly incapacitated. With these sample Living Will forms, you can create your own Living Will without having to hire a lawyer to prepare it for you and avoid costly legal and attorney’s fees. 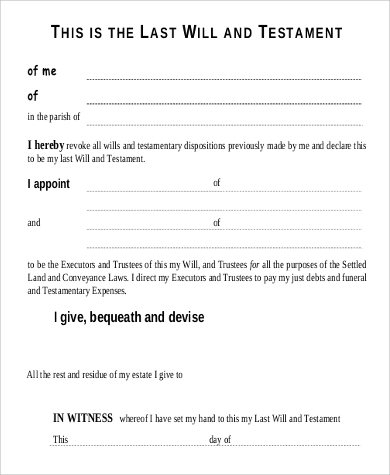 Do take note that a Living Will can be revoked any time you wish to. Much like a will done to leave possession or property, a Living Will can only take effect once it is signed. 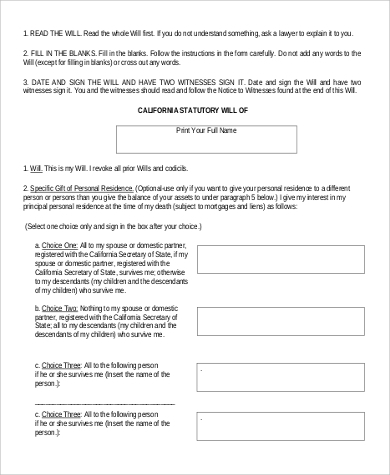 Living Wills can also take effect only when it is determined that you are no longer capable of communicating your desire for treatment.